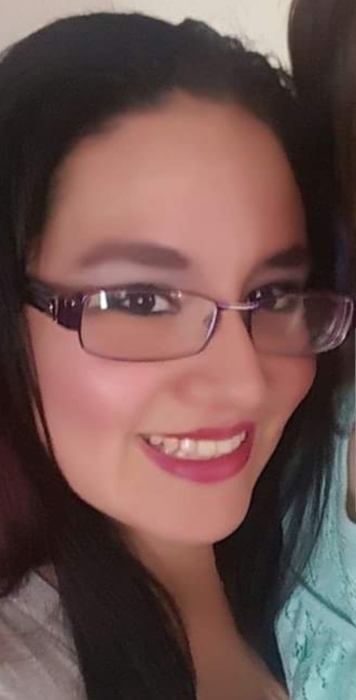 Samantha Marie Gomez, age 27 of Beeville, passed away Monday, January 14, 2019. Ms. Gomez was born June 21, 1991 in Beeville to Elvia G. Saenz. She graduated from A.C. Jones High School and was a former member of the Naval Junior ROTC and also a Former member of the criminal justice tactics team. She attended Coastal Bend College and was employed at the Bee County Sheriff’s Department as a jailer for six years and was also employed for McDonald’s as a manager for several years. Most recently she was employed with Stripes Convenience Store as an assistant manager. She was a Catholic by faith. She was preceded in death by great-grandparents, Petra Zamora, Melchor Villarreal, Romana Gonzales and Pedro Gomez. Survivors include a daughter, Makayla Berry her mother, Elvia G. Saenz; step-father, Danny Saenz; sisters, Viviana Baldillez and Briana Perez; a brother, Ernest Gomez; grandmother, Maria V. Gonzales; grandfather, Jesus G. Gomez Sr.; father of her daughter, John Berry; and a host of aunts, uncles and cousins. Visitation will be held from 5 to 9 p.m. Sunday at Treviño Funeral Home with a rosary recited there that evening at 7 o’clock. The funeral Mass will be celebrated at 10 a.m. Monday at St. James Catholic Church with Father Luke Thirunelliparambil officiating. Burial will follow in St. Joseph Cemetery. Pallbearers will be Mark Ryan Carabajal, Matthew Jay Carabajal, Jacob Ram Benavidez, Jonathan Ray Benavidez, Ernest Joe Gomez and Pete Rodriguez. Honorary pallbearers will be Nora Ace Tamez, Donald Berkley Earnest III, Noah Michael Carabajal, Luke Anthony Carabajal, Brandon Brooks, Eli Rodriguez Jr., Adan Flores, Alexandria Flores, Desiree Gonzales, Tiffany Gonzales, A.J. Gonzales, Adriana Tamez, McDonald’s Co. workers, Randy and Kathy Cothes and Stripes family.